One hundred years after the Armenian Genocide, Islamized Armenians across Turkey are beginning to make their presence known. This year we mark the 100th anniversary of the Armenian Genocide committed by the Turkish Government throughout the Ottoman Empire in 1915. Which countries officially recognize the Armenian Genocide? According to the International Business Times, 20 sovereign governments recognize the Armenian Genocide, as well as 43 of 50 states in the U.S. This year Austria and Germany are joining this list. 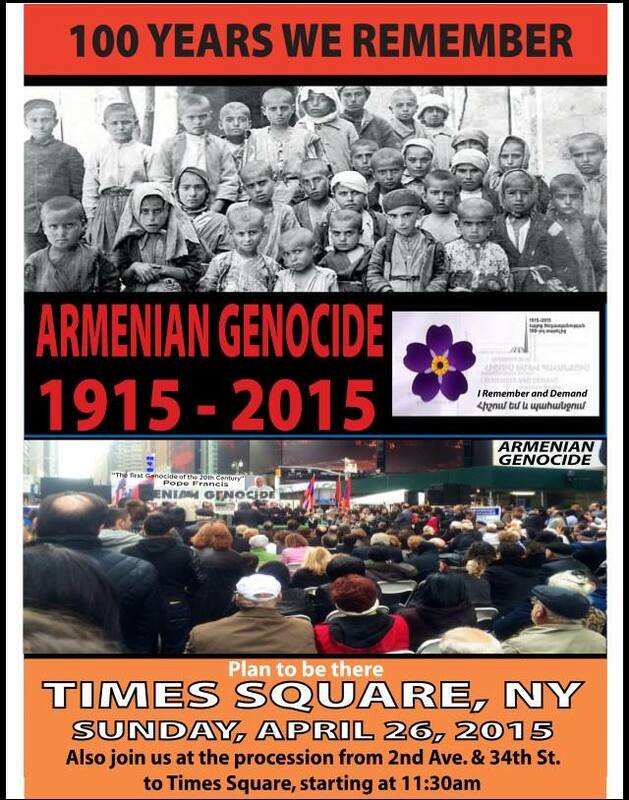 In addition, the European Parliament, which recognizes the Armenian Genocide, is urging Turkey to do so. There are diplomatic concerns which world powers such as the U.S. and Israel cite as reasons for not officially using the g-word. However, their leaders have made their views clear on the issue. Genocide scholars worldwide recognize the Armenian Genocide. All questions and debate about this issue are politically motivated, because Turkey refuses to apologize for the Armenian Genocide and spends millions of dollars annually, to lobby governments and influence opinion makers not to recognize the Armenian Genocide. Turkey also funds university chairs and fights local school districts in courts around the world, to prevent the Armenian Genocide from being included in school curriculums. If we want to do our parts to stop genocide, we must demand that our leaders speak out truthfully. Genocide and genocide denial cannot be tolerated anywhere. You are currently browsing the archives for the Armenian Genocide category.